Finding peace in our political moment. 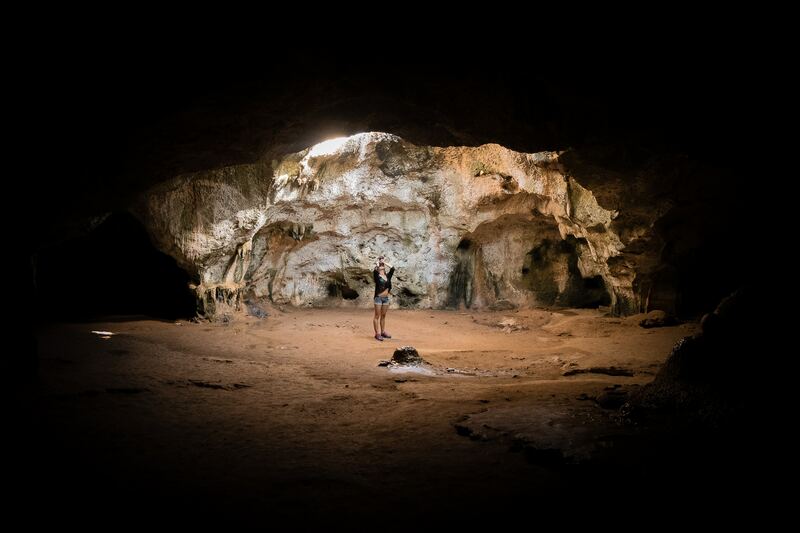 My friend and a fellow spelunker through stygian emotional caves called yesterday, recently home from a Buddhist pilgrimage in Bhutan, and a return, after years away, to Bangkok and Kathmandu. We spoke at length by phone across a continent, my morning; her afternoon. In the caves we have been exploring together — as dank as excavations of Amazonian biochar — lie buried the tragic hauntings of our human predicament if we don’t ratchet up an effective collective response to the crisis of global warming — and soon. Five years ago we made a commitment with 12 women, scholars and activists, to “get real” about climate change, a commitment, it turns out, from which there is no turning back. We named ourselves a “Council on the Uncertain Human Future,” and my friend has been supporting others ready to start the descent. Her call was in part to report back from a new council she had facilitated in Katmandu. The report was inspiring, the pilgrimage life-affirming, and the questions she laced through our conversation had the quality of zen koans, questions of such depth as to be unanswerable, and of such urgency as to leave no choice other than to live them, with patience and a quality of full-bodied listening. Listening for signal, a metaphor offered by one of our council members and the title of a film on the council process. “All these people who are committed to destroying the nation’s democratic institutions, who are they, where have they come from, what is driving them? “How do we relate to these toxic beings who are willfully working against the common good? “How do we hold ourselves, keep ourselves sane, in this noxious energy field? I, meanwhile, had stopped to breathe, comforted by a new study I’d heard described earlier in the week at the local independent bookstore in Menlo Park, California. Hardly Kathmandu. The book, Drawdown, and the presentation by its editor, Paul Hawken, had been a refreshing dose of optimism to which I gladly grasped in the midst of two weeks of dispiriting chicanery by the Republican Congress intent on dismantling Obama’s legacy no matter the cost in suffering and chaos. The whole charade was dragging me down when Hawken arrived with an uplift. He spoke to a large and appreciative audience, all of us moved by both the results of and the spirit behind his enterprise. He had recruited a large team of bright young “fellows” to cull the peer-reviewed literature and assemble a first-ever attempt at summarizing and ranking key “solutions” to global warming. He described the project with humility, humor and with gratitude to the many who made contributions. Beneath it all was a fundamental optimism about the human species, our ability to rise to a challenge, even, one hopes, this one. The book is cleverly-organized and beautifully written, with fresh and arresting illustrations. It spells out strengths and limitations of the approach and provides reference documents on a “Project Drawdown” website. A deliberately provocative subtitle (“The Most Comprehensive Plan Ever Proposed to Reverse Global Warming”), stands in purposeful contrast to a consistent modesty in the book’s claims. Estimates of the impact of specific solutions are conservative, and the whole endeavor is offered as an invitation to others to build on it, argue with it, take it another step, use it in whatever ways will advance the task at hand, namely “rapidly re-sequestering carbon.” This is the idea behind the concept of “drawdown,” a bold new goal for a species Hawken has long believed in as equal to the challenge. Tibetan Buddhists have a word — shenpa — for a conditioned response that hooks us and makes us smaller than we need be. When we look for solid ground in a constantly shifting world we overwrite a feeling of unease by diverting our minds with habitual distractions that close us down. If we can remain open to the mind’s inherent vastness, they teach, we can find a doorway to clear seeing of reality and a pathway to wisdom, freedom, and inner flexibility. We will need vast stores of those qualities of resilience to meet the challenges ahead, the tests to ingenuity laid out in the Drawdown Project and the tests to spirit awaiting us in the stygian caves. As we drive toward solutions, we will have to live out questions that will keep us in connection with others and open our minds and hearts beyond our fears. Perhaps that is what it would mean to just stop and breathe for a spell.